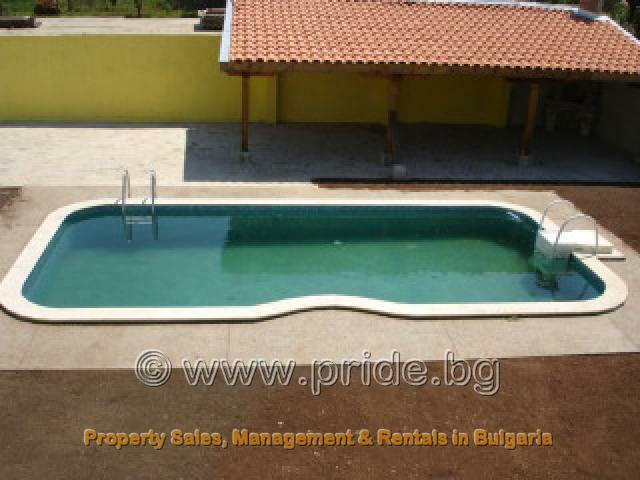 This extremely spacious property has its own large swimming pool and is located in the quiet village of Bojurets, which is just 5km from the seaside resort of Kavarna (around Ј3 in a taxi), and 10km from the sea fishing town of Balchik. The property is also just 2km from the brand new Gary Player international golf course and 6 km from the new Ian Woosnam international golf course, both of which are expected to open in 2007. This extremely spacious villa has been recently completed and furnished to a high standard throughout. The property is split into two completely self-contained apartments which are both larger than an average sized house! The ground floor is a 140m.sq 3 bedroom apartment, which can sleep up to 8 people. The upper two floors are a separate 280m.sq maisonette apartment, with four bedrooms which can sleep up to 10 people. The apartments can be rented separately at the prices listed above, or together which qualifies for a 10% discount on the total price. Outside, the garden includes a large BBQ area, lawned area and that large swimming pool. Inside there is a full satellite TV system with DVD player. The local area offers a great selection of cafes, restaurants and discotheques. In Balchik there is a small water park on the esplanade which is great for kids. Sea fishing is also possible in the harbour. Kavarna offers a peaceful alternative from the hustle and bustle of the larger package holiday resorts of the Black Sea coast. The town offers all of the facilities you would expect of a resort, but retains the traditional feel of a peaceful fishing town. As well as the obvious resort attractions, there are unspoilt nature trails along the surrounding cliffs, and quiet, secluded sandy beaches located in a protected nature area. The central beach at Kavarna is very big and not as crowded as many of the resort beaches elsewhere. During the peak rental season, the Mayor of Kavarna arranges frequent rock and classical concerts in the city stadium, and these are always popular with locals and tourists alike. This rental villa is ideal for those holidaymakers who prefer the solitude and relaxation of country life, but also in contrast a short distance from the beautiful beaches of Balchik, White Lagoon and Kavarna. 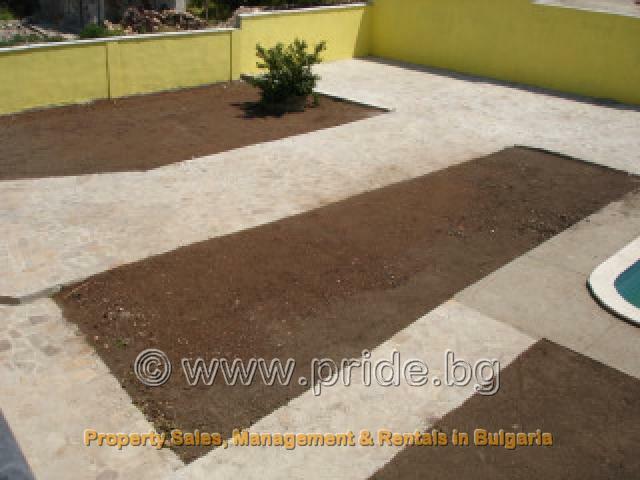 This rental property also offers on site secured parking for those who wish to rent a car. The nearest shop is just 100 metres away.